European Youth Championships 2014 will be held in Riva del Garda from 11th till 20th of July. There is still plenty of time before the start of the events, but the Italian TT Association (FITET) and Riva del Garda already offers for young players to prepare for the Championships. 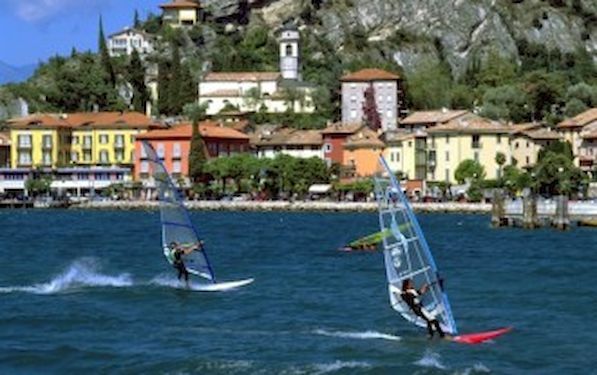 Competitors will have an opportunity to arrive earlier to Riva del Garda in order to practice and conduct the trainings in the same venue and surroundings, as they will have during Championships. They will get the real feel of pleasant lake environment. The training camp is scheduled in period between 1st and 8th of July, 2014. The time each National Association want to focus on training is very flexible. The EYC expects almost 600 players from at least 45 countries to participate in the event. They will be accompanied by 200 coaches, managers, physios. Around 300 registered personnel including 100 umpires, media and table tennis companies representatives, 80 OC staff and 40 volunteers. During 10 competition days around 3.500 matches are going to be played. 14 titles will be granted- JB, JG, CB, CG, teams, single, doubles, mixed doubles (juniors and cadets). The tournament will be held in the area around 3.000 sqm large which has 26 competition tables and 26 practice tables at Riva del Garda’s Baltera Expo Fair complex. Also Organizer launched European Youth Championships 2014 official web site. You can see it here.